-ocityishness :: eventually a suffix will get you there. : "Together for the first time..."
"Together for the first time..."
I was shopping with my mother when the giant word PLACENTA caught my eye. Henna 'n' Placenta. The "'n'" is all jaunty, as if use of the word PLACENTA is not COMPLETELY HORRIFYING. 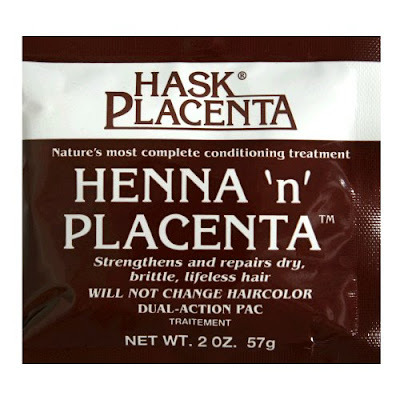 An extra rich formula combining two of natures most complete hair conditioners - neutral henna and natural placenta. Together for the first time to quickly repair and strengthen dry, brittle, lifeless hair. PLEASE TELL ME some ob-gyn intern dude came up with this stuff near the end of a sleepless call night. He's all, Haha, look at me! I've got a placenta on my head! And the other interns are like, That's unbelievably gross. But your hair is now curiously shiny and healthy. And they initially manufactured it with Whole Placenta, but the packaging got out of hand, so they streamlined.